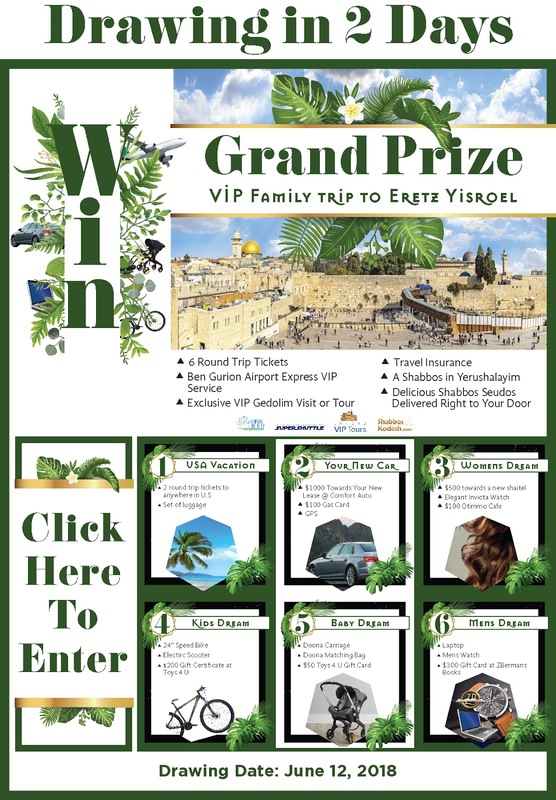 WIN A VIP FAMILY TRIP TO ISRAEL! Starting at $36! Trip includes airfare for 6, VIP Airport Service, VIP Shabbos In Jerusalem, and Exclusive VIP Gedolim Tour. Make that family Israel trip come true. By purchasing a raffle you will have a part in helping fund the beautiful Yeshiva Stolin Karlin in Lakewood.